This Privacy Statement describes the information that Athena's Grove collects about you; how we use and protect this information; and the choices you can make about how we use this information. Athena's Grove is committed to protecting your privacy and will not sell, rent or share your information in a manner that does not comply with this Privacy Statement. This Privacy Statement applies to information, including personal information, collected about you by Athena's Grove. Personal information is information, or a combination of pieces of information that could reasonably allow you to be identified. 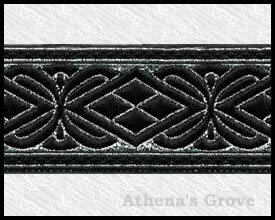 Some AthenasGrove.com pages may contain links to non-Athena's Grove sites. We are not responsible for the privacy policies of those sites. We recommend you review the privacy policies of each site you visit. We may collect information about you from a variety of sources, including information we collect from you directly; information we collect about you when you visit our sites, use our services, or view our online advertisements; and information we collect about you from other sources (where permitted by law). Name, email address, postal address. Phone number or mobile number. Payment information (such as a credit card). Your browser type and operating system. Site you visited before coming to our site. Athena's Grove emails you open and/or forward. Athena's Grove offers or links you connect to via emails. Marital status and number of children. Your interests such as hobbies and pets. Consumer and market research data. Publicly observed data or activities, such as blogs, videos, internet postings, user generated content, and in-store shopping behavior. All of the information we collect about you may be combined to help us tailor our communications to you to maximize your customer experience with Athena's Grove. We use the information we collect to provide the products and services you request, to tell you about other products and services offered by Athena's Grove and to manage our sites and services. Develop new products and services. Enroll you in contests, programs, or offers you request. To provide you with other services that we have offered to you. Process payment for purchases or other services. Protect against or identify possible fraudulent transactions. Where permitted by law, provide you with customized, unsolicited offers and information about Athena's Grove products and services through postal mail. Develop and provide advertising tailored to your interests. Analyze the use of our products, services and sites. Understand how you arrived at our site. Determine the effectiveness of our advertising. Enforce our Terms and Conditions and otherwise manage our business. Electronic and Mobile Communications. We only send you promotional mobile or email messages if you provide us with your contact information and opt in to receive the messages. You can stop receiving promotional mobile and email messages from Athena's Grove by following the instructions provided in any such message you receive. Postal Mail. Where permitted by law, we may mail you unsolicited offers or product information that we believe is of interest to you. You can stop receiving promotional postal mail from Athena's Grove. Promotional postal mail may contain opt out instructions, and you can stop receiving promotional postal mail from us by following those instructions. Access. You can view, correct or update the personal contact information you provide us by logging in with your username and password. Online. Visit the “Contact Us” form on our website, and submit the completed form. By email. Send an email to info@athenasgrove.com from your email address of record with a subject line of UNSUBSCRIBE. PLEASE NOTE: If you choose to stop receiving promotional messages from us, we will honor your request. However, we will continue to send you service related communications and we may need to keep the information we have collected about you for record keeping, analysis or other reasons, to the extent permitted by law. Web Beacons. Web beacons are small bits of code embedded in web pages or in emails. We may use web beacons to deliver or communicate with cookies, to count users who have visited a web page, and to understand usage patterns. We also may include web beacons in e-mails to learn if messages have been opened, acted on, or forwarded. You can disable the ability of Web beacons to capture information by declining cookies. Web Session Variables. Information that is passed from one web URL to another as you browse. Browser plug-ins/add-ons. Additional web components that may need to be installed to enable certain web features on our sites. You have the option not to install these components. In general, we do not share personal information outside of Athena's Grove unless we have clearly asked for and obtained your explicit consent. Third-party service providers. We rely on third-party service providers to perform a variety of services on our behalf. In so doing, we may need to share your personal information with them. Please note that we provide our service providers with only the personal information they need to perform their services and we require that they protect this information and not use it for any other purpose. Fulfill your product and service requests and answer your questions. Host our sites and deliver our email and mobile messages. Contact contest winners, manage payments or take other actions on our behalf. Analyze data, sometimes combined with other sources, to send more targeted communications to you. Conduct research and analyze data to improve our products, services and sites. Combine personal information about you that Athena's Grove has collected with personal information about you that our business partner has collected so we can jointly send tailored promotional communications to you. In such instances, our business partner will not have direct access to any information we share about you with the service provider, and only the service provider will be allowed to use the combined set of information to send you joint communications that we hope will be of interest to you. . If you prefer not to receive these joint communications, you can always opt out by following the instructions provided in any such communication or by logging in to your account on AthenasGrove.com and changing your communication settings. Perform other services that we request. We provide these companies with the personal information they need to provide these services on our behalf. We require these companies to protect this personal information and to not use the information for any other purpose. When required by law, and/or public authorities. Aggregated and non-personal information. We may share aggregated information that cannot identify you for general business analysis. For example, we may disclose the number of visitors to Athena's Grove sites or services. Athena's Grove may enable users to submit their own content for contests, blogs, videos, and other functions. Please remember that any information you disclose becomes public information and you should exercise caution when deciding to disclose your personal, financial or other information in a submission. Athena's Grove cannot prevent such information from being used in a manner that may violate this Privacy Statement, the law, or your personal privacy and safety. Athena's Grove is not responsible for the results of such postings. We are committed to keeping personal information secure. We have appropriate technical, administrative and physical procedures in place to protect personal information from loss, misuse or alteration. We limit access to personal information to those who have a business need. We keep personal information only for a reasonably needed amount of time. When we provide your personal information to our third party service providers we require those companies to protect the information and to not use the information for any other purpose. When we collect or transmit sensitive information such as a credit card number, we use industry standard methods to protect that information. Please note that email may not be encrypted and cannot be considered a secure means of transmitting credit card numbers. Athena's Grove will never ask you to submit your credit card information via email. Your personal information may be transferred to, stored, and processed in a country other than the one in which it was provided. This may include the US. When we do so, we transfer the information in compliance with applicable data protection laws. We do not intend to collect personal information from children under 13 online. When we do collect personal information from children, we do so in compliance with applicable country children's data protection laws. U.S. sites that collect information from children under the age of 13 are covered by a privacy statement that meets the requirements of the U.S. Children's Online Privacy Protection Act. Click here to read that Privacy Statement. We will post changes to this Privacy Statement and update the effective date when this Privacy Statement is updated. The changes will take effect as soon as posted.